Office Space - Kingston Bagpuize, Oxfordshire. 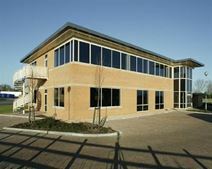 Newly refurbished and fully furnished offices of varying sizes, some with integral offices. 6 miles from Abingdon, 8 miles from Witney, 9 miles from Oxford and 20 miles from Swindon. Various local shops and leisure facilities in the surrounding area.